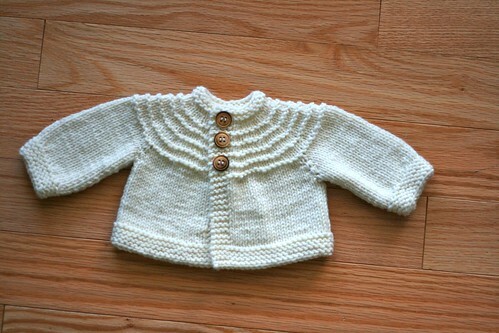 I mentioned in my last post that I have some knits for baby finished up. It took most of these ages to block due to ridiculous humidity! In the meantime, I actually completed the final two! 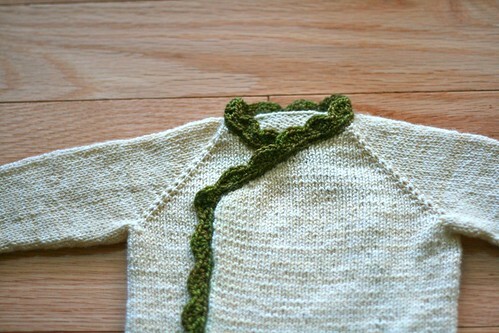 Anyway, here is my little layette for baby. 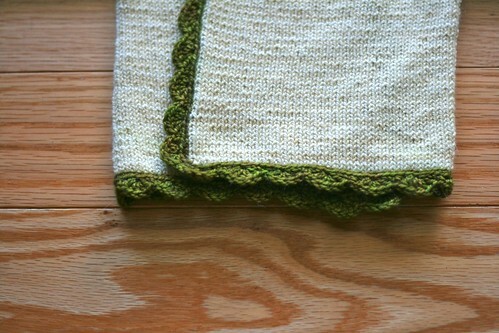 I ended up knitting it all in shades of white and green. 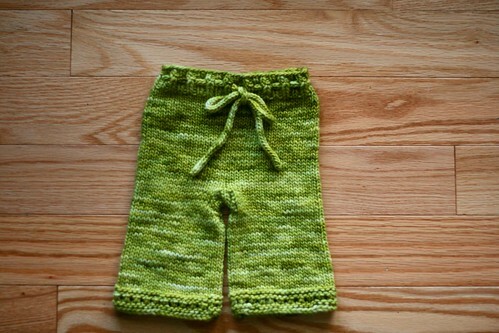 I kept thinking of trying different colors, like a nice blue, or the gold I've liked for baby knits in the past, but I just kept being drawn to green, green, green! I only bought two skeins of yarn for these projects, everything else was something I'd had on hand for a few years, actually, most likely intended for some other project at some point. 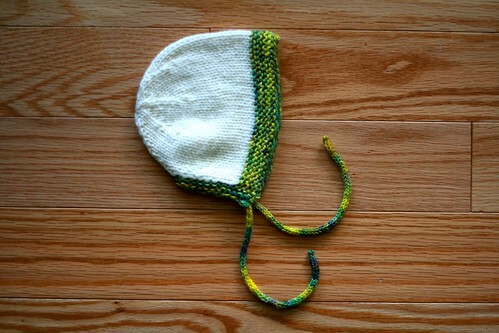 First, another picture of the little diaper cover I knitted up as the first knit for this baby. I worked on it in February and March. I thought the button placement was weird at first, so I moved them the other day and I think it will fit better now. A longie for baby! 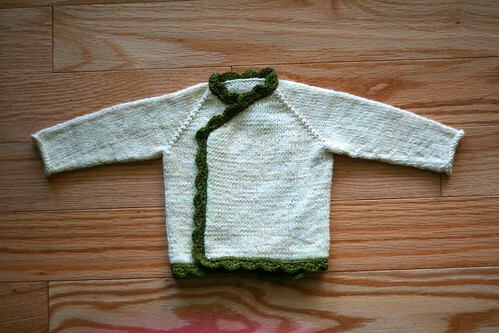 I used my favorite longie pattern and Malabrigo worsted, which I love for newborn knits. More details here. 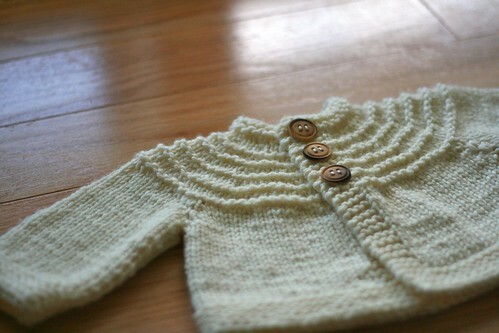 Sweater number one. 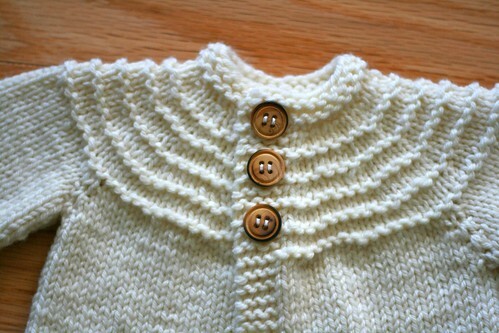 This is the Milk Infant Top, and I love, love, love it, despite the crochet edging being much too hard for me. Thank goodness for good friends who can crochet and help me! I still want to crochet a granny square blanket for our living room but I need lots of practice first. 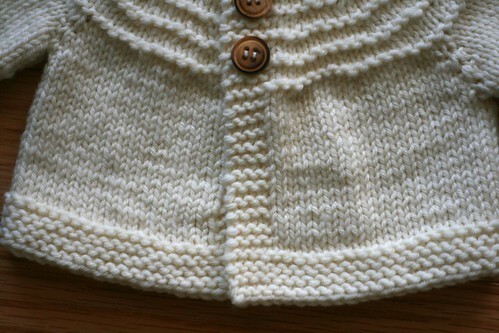 Anyway, this is the knit I am most excited to see on the baby. Sweater number two. 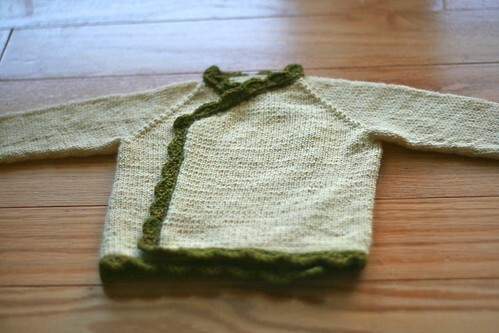 This is the Baby Boy 5-hour Sweater, and I've knitted it once before. (Even though it's called "Baby Boy", I think it can be for either. We don't know what we're having.) 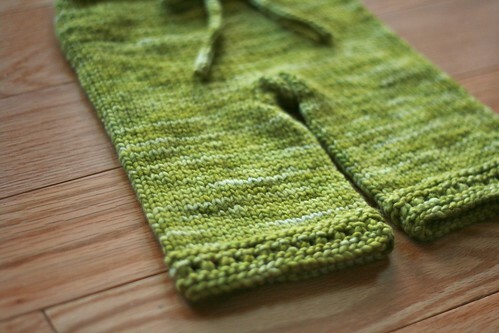 I love this pattern although this time I did the sleeves as written instead of picking them up to knit in the round afterward and I liked them less this time. First of all, I don't like the seam down the arm, it feels bulky, and second of all, I still had to do sewing up around the armpit, so it didn't eliminate all end-weaving like it's supposed to. Bonnet. 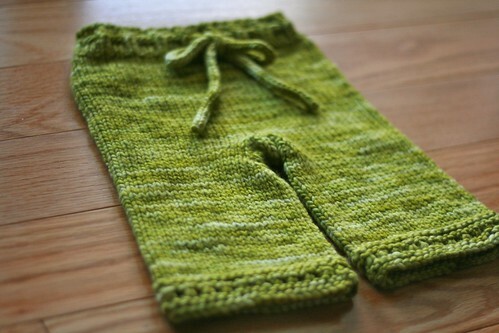 This was made from the scraps of the 5-hour sweater and the booties I knitted in March. (I was going to share more pictures of them here but when I washed them, they dried funny, so they look weird in pictures. I guess they'll have to wait until there is a model for them!) I was pretty nervous about having enough of the white yarn left, but I finished with a couple of yards to spare, so it worked out perfectly! 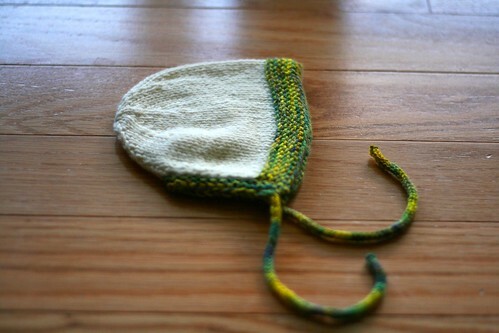 In the end, I actually think the bonnet looks big for a newborn (I knit the 0-3 month size and it grew with washing), so I think I could've actually gone down to the smallest size. Pattern and yarn info here. Everyone wants to know how I'm feeling. Physically, I feel pretty good. No signs of labor yet, and I'm mostly comfortable. The last two days have definitely found me feeling grumpier than I had been, though. 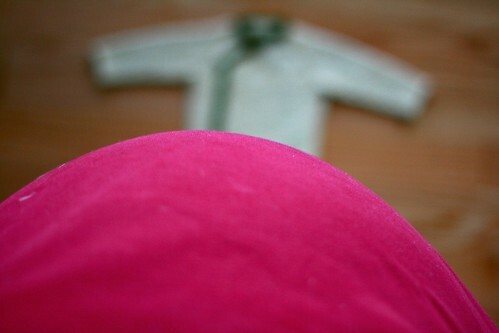 This was the first really hot week we've had this year, the combination of which with pregnancy took me by surprise (with three winter/spring babies, I had no idea how hot I could be!) So, I have been finding myself feeling grumpy and more impatient than usual. But we are so close to the end! I'm excited!